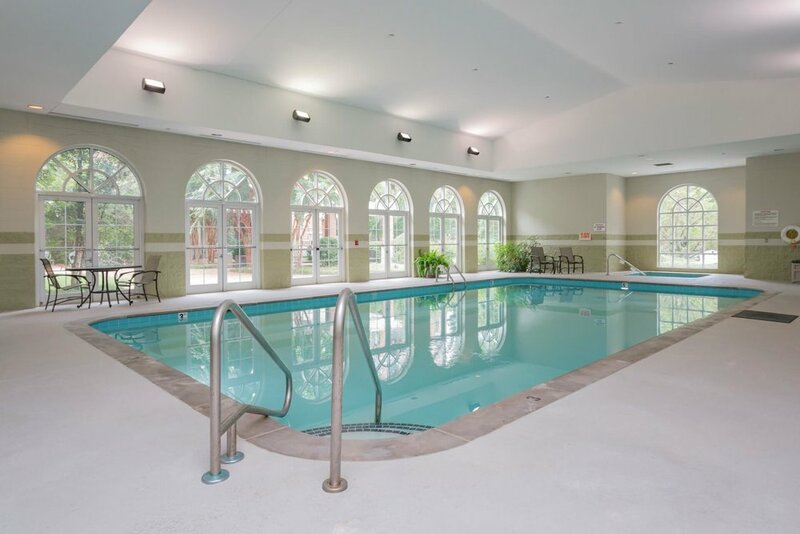 Our elegant pool is ideal for both exercise and recreation. Our climate-controlled pool area features spacious windows for natural daytime lighting, room for pool-side reclining, and an inviting hot tub. The swimming pool is included in the monthly service fee; water exercise classes are offered daily at no additional fee. For example, swimming pool aerobics classes are scheduled daily at 9am and 10am. For more information about swimming pool activities, please feel free to contact our Recreation Director at ext. 1235.